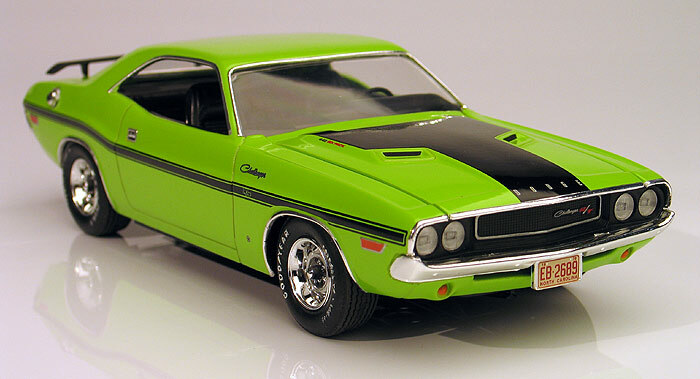 Recently, Revell re-issued their die-cast '70 Challenger kit under the "American Dreams" TV show license. 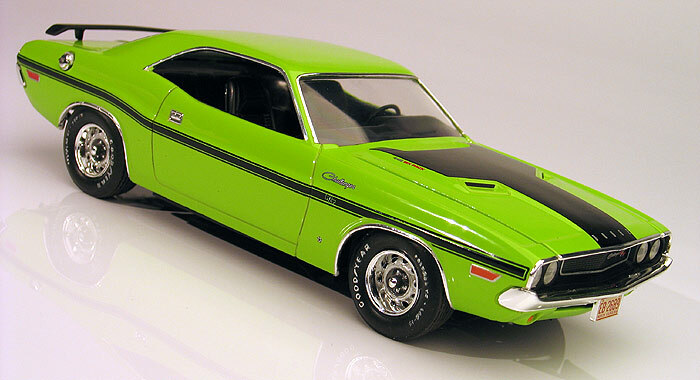 I am not a fan of the show but I thought the pre-painted kit looked pretty good and I've always loved Mopars in "sub-lime" green. 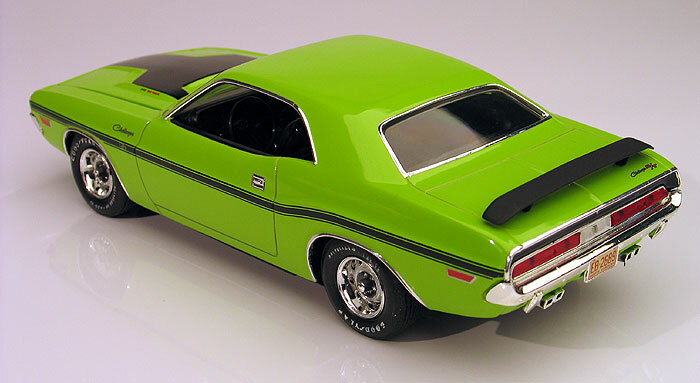 Curiously, my wife, who does watch the show says she has never seen this Challenger on the show and it is set in the mid-sixties before this car would have been built. Anyway, I thought it would make for a fun quick build. 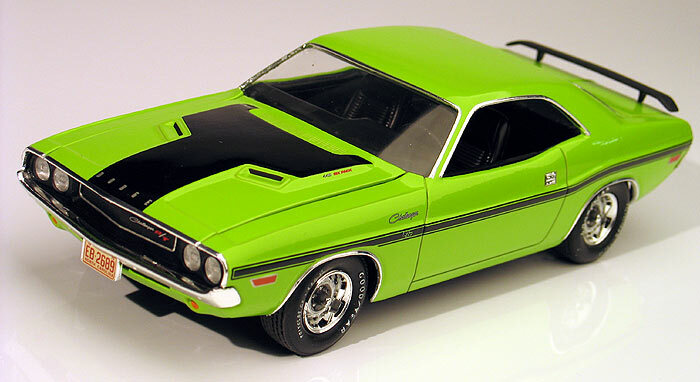 I basically built the car right out of the box except for adding a few details. The kit tires were swapped out with a beefier looking set of vintage Goodyear Polyglass GTs. I hand painted the white lettering. I also added a little detail painting and Bare Metal foil to all the chrome trim. Lastly, I dug into my parts box and found an optional factory rear spoiler and attached it to the trunk. It made for a nice shelf model and I had it finished within a couple of evenings.